Caves at Sacromonte Granada closed off by the police. Police in Granada have closed off empty caves in the Sacromonte area of the city. 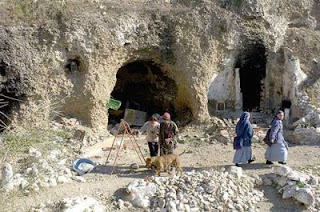 The mayor ordered the action considering the caves to be ‘unhealthy and unsafe’. Squatters have been staying in some of the empty caves which are in the old Gypsy quarter of the city. Local police say the operation to close the caves was carried out without incidents. The caves at Sacromonte are considered Heritage of Mankind by UNESCO. Digital surveying: Disto X replacement? Pre-order now!